Located in the heart of Kettering Town Centre, we are a welcoming and diverse Church with a passion to honour Jesus through our whole lives. Our Sunday Services formally start at 10:30am and 6:15pm, but doors are open early for those wanting to get to know us and we have plenty of time after the services also to make connections. We aim to include the best of both contemporary and traditional styles of worship. We have age-appropriate groups for children and young people (including crèche) on all Sundays except the second Sunday of the month, which is all age worship. Come and join us to find out more! We belong to the Baptist Union of Great Britain, uniting around 2000 churches working closely together across the country. 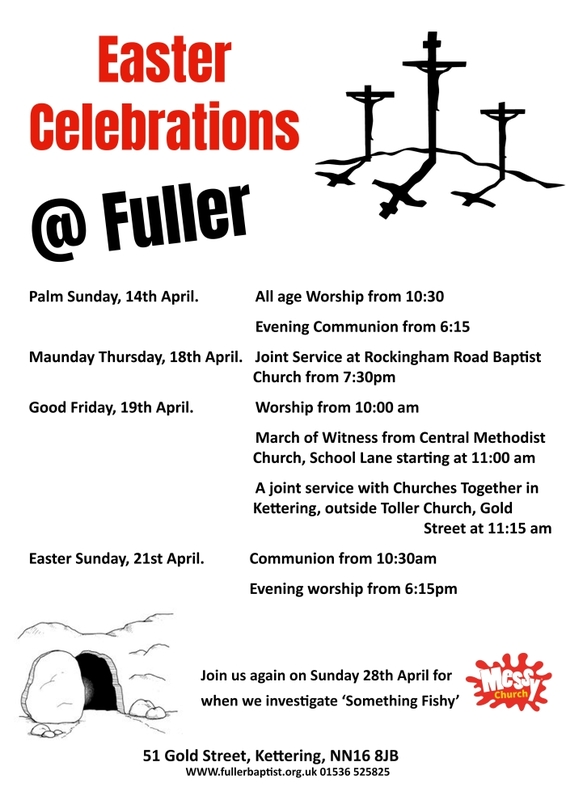 We also belong to Churches Together in Kettering, and seek to play an active part in town-wide Christian worship and outreach.